DeafHope is honored to work with peer DVSV organizations from around the state of California who provide services to marginalized and underserved communities. As a part of CRDVN, a project funded by the Blue Shield of California Foundation, we are working together to make sure survivors of color, undocumented, Deaf and other survivors are at the forefront of policy, funding and services. 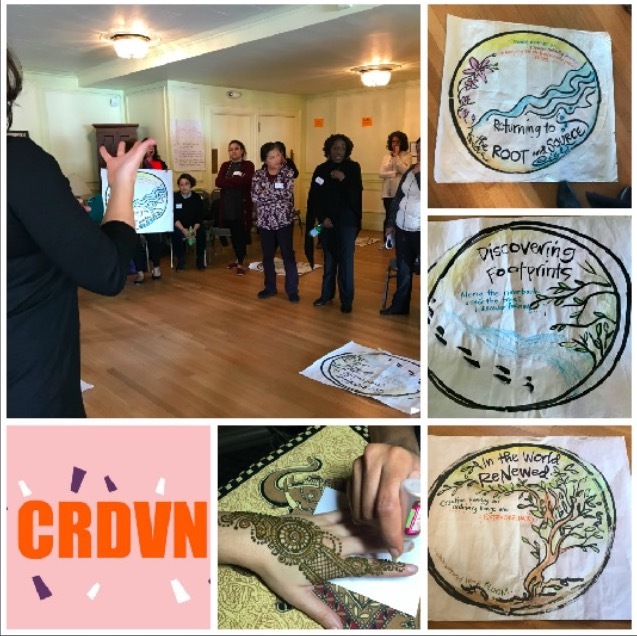 Last week CRDVN met to discuss our plans for the next six months, which include advocacy on the state level for increased funding and improved safety planning for undocumented survivors. We learned about how nonprofits can advocacy for policy change and had some fun self-care in the evening with henna!